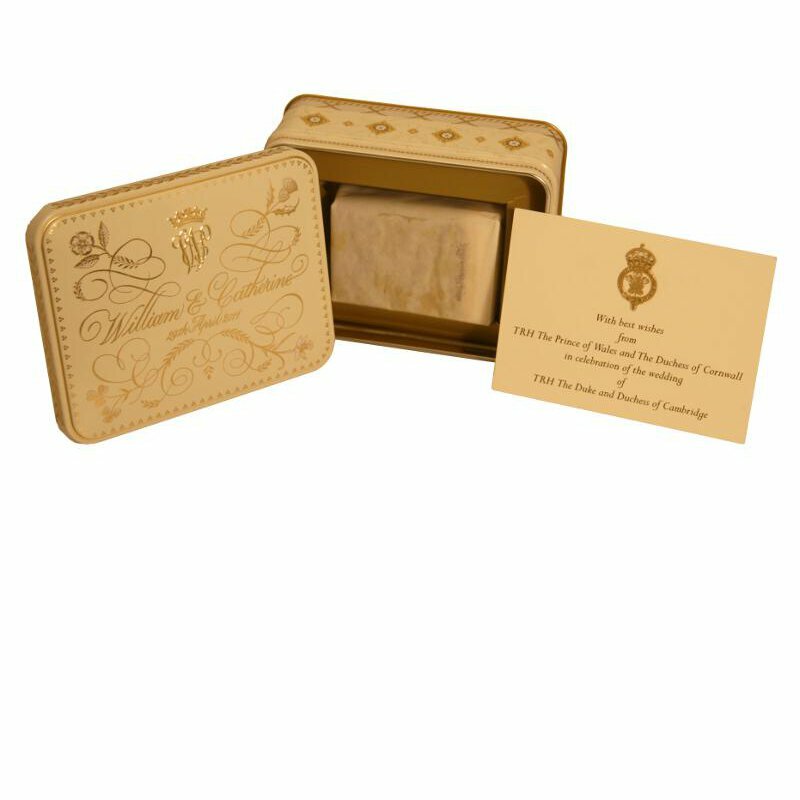 A slice of cake from the wedding of Prince William (1982- ) and Kate Middleton (1982- ) with a printed compliments slip from TRH The Prince of Wales and The Duchess of Cornwall. 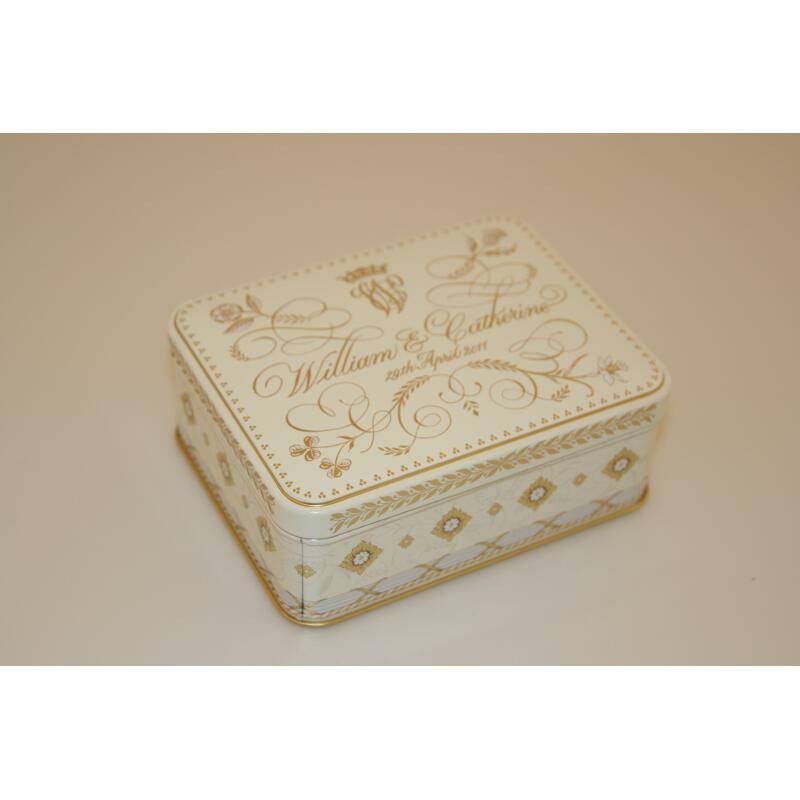 The cake was designed by Fiona Cairns for the Wedding of Prince William and Kate Middleton on Friday 29th April 2011 and is in a presentation tin commissioned and designed by Peter Windett and Sally Mangum. The tin measures 5½” x 4¼ x 2”. A slice of cake was presented to each of the 650 close friends and family who attended the afternoon reception at Buckingham Palace. Accompanied by the 16 page Order of Service from Westminster Abbey which includes the vows, hymns, prayers and Blessing from the Wedding. 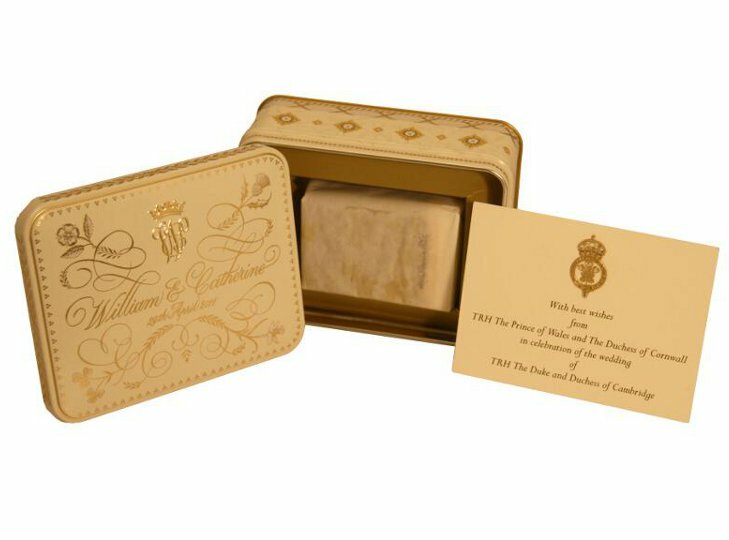 Believed to be the first piece of William and Kate's wedding cake to appear at auction.